In 1901, a group of civic-minded women realized that fast-growing Los Angeles lacked a hospital equipped to care for children, so the women raised funds and created the original Childrens Hospital. They started in a small clapboard house with two bedrooms, four beds, and one volunteer doctor. The proposed hospital garnered the immediate and enthusiastic support of citizens concerned about community needs. 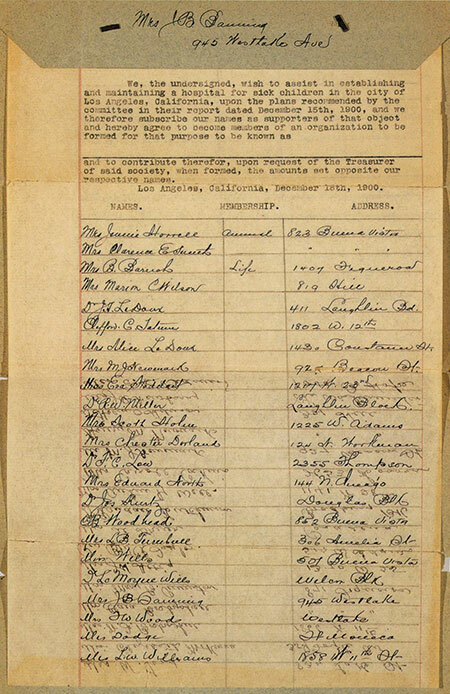 Among the names of the initial subscribers were prominent early Los Angeles families. The hospital was built and financed by the strength and resolve of women founders, women directors and women volunteers. The benevolent force of the women volunteers at Childrens Hospital have touched three centuries and have been an integral part of the Los Angeles experience. Today the institution is one of the world's foremost pediatric medical centers. 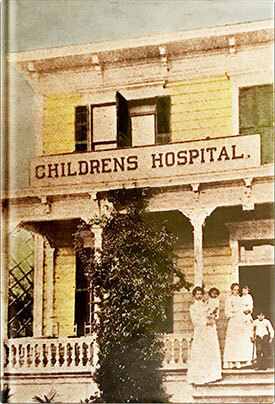 Childrens Hospital and the Leaders of Los Angeles: The First 100 Years was commissioned by the Hospital's Board of Trustees to commemorate the institution's centenary anniversary.